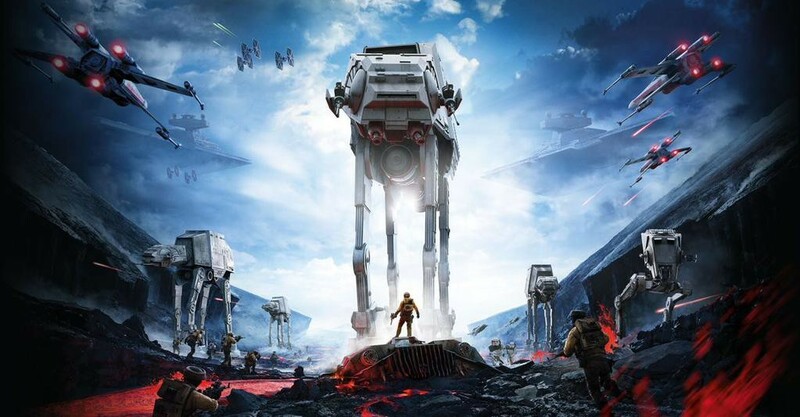 The phrases used in Daniel Starsky’s review of the new Star Wars: Battlefront are nothing new. “The most faithful interactive reproduction…condenses all the highs and lows of a film…Plays Like You’re Watching the Movie”. And if you took only a casual glance, it would be easy to write off Starsky’s review as another game critic giving lauds to a game for being “cinematic”, for being more like a big-budget blockbuster than the game it claims to be. A closer examination, though, reveals a shift from the expected rhetoric of the consumer review, and perhaps gives us reason to ask more from critical games culture as a whole. Since at least the mid-2000s (and almost certainly much earlier, I can only speak from my experience) both game creators and players alike have been obsessed with making cinematic gaming experiences. It comes from a mixture of places: it’s a hold-over from the days of games as movie tie-ins, the days where getting a live-action movie made of your favorite cartoon (or video game) meant it was hitting the big time. It’s a hold-over from the days where games were still a brand new art-form, clinging to the most popular media that came before it to inform its storytelling techniques (the same thing happened with movies, the first films had a distinctly theatrical sense to their cinematography). Let me be honest here: it doesn’t matter to me whether or not this is true, what matters to me is that it has been said! The idea that people are beginning to imagine systems as expressive is exactly the kind of re-imagination that the games community needs! According to Starsky, it isn’t just the wipe-cuts and costumes that signal Star Wars, it’s the feel of the play itself. Which is, of course, itself informed and amplified by the aesthetic trappings of the game, but those are no longer the load-bearers in the equation. Maybe now we can begin to look at other games in the same light, and ask ourselves what games can be as they start to become recognized in the sphere of expressive art.